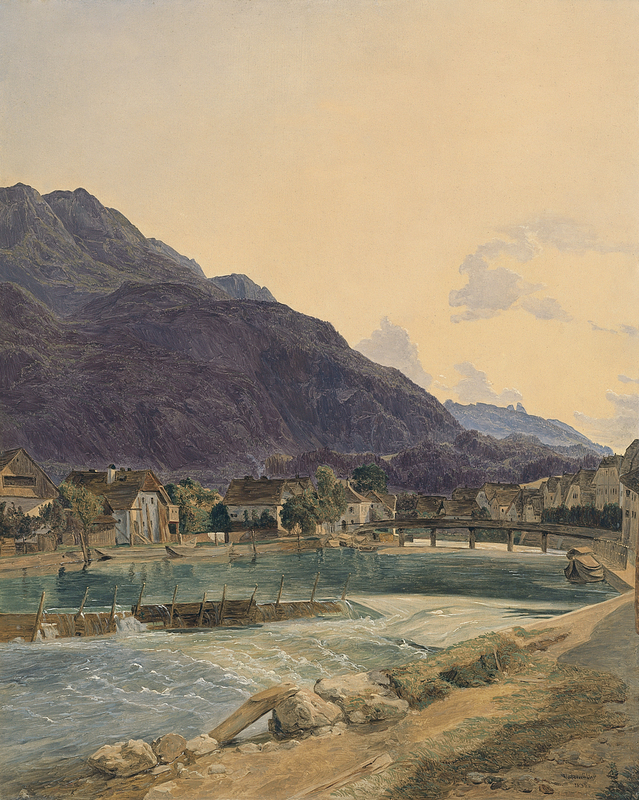 Ferdinand Georg Waldmüller is one of the great figures of 19th century Austrian painting. In addition to landscape he also executed portraits and genre works, the latter becoming an important area within his oeuvre from the 1840s onwards. Waldmüller studied with various artists over a period of ten years, while also attending classes at the Academy in Vienna. His earliest works were commissioned copies of the masterpieces to be seen in Viennese galleries. In 1822 he participated in the Academy exhibition for the first time, showing a number of paintings, and was be appointed a professor at that institution in 1829, although the relationship was never particularly cordial due to a series of polemical texts by the artist in which he severely criticised the Academy’s teaching system. The Emperor himself mediated in the conflict, taking Waldmüller’s side and helping his career by commissioning a bust-length portrait of himself in 1827.